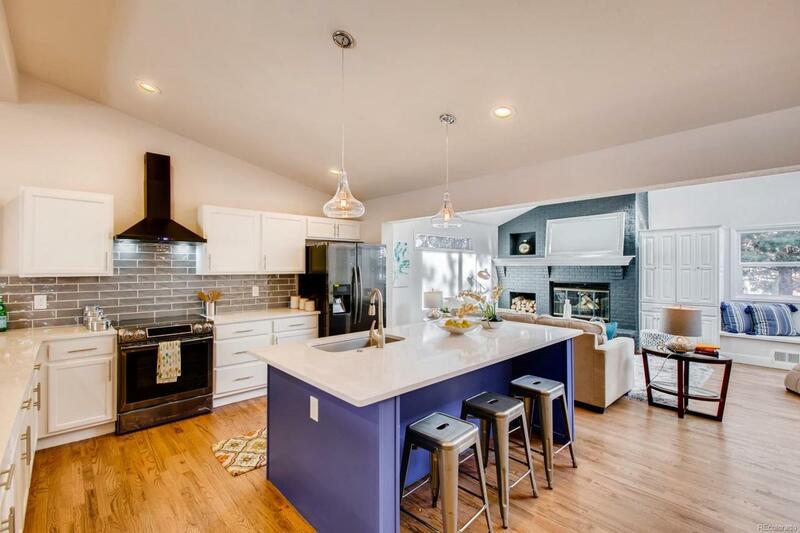 Stunning 5 bedroom 4 bath remodeled home in one of Colorado's most central locations. As you walk into this home you will be blown away at the open floor plan and amazing kitchen. Entertainers Dream kitchen 2 wood burning fireplaces, 2 wet bars, New Roof, New Electrical Panel, and New windows. Over 4,000 finished square feet. Upstairs you have 3 bedrooms and 2 bathrooms, on the lower level you have an additional bedroom and bathroom with more living space, and in the basement you have a full 1 bedroom and bathroom with its own kitchen. There is a separate entrance to the basement. Would be perfect for a AirBnB or a 1 bed one bath rental or even a mother in-law suite. The lot is to be desired. Backs to parks and close to the elementary school. Located in one of Colorado's best School district, Cherry Creek. Plenty of room to add add another garage if desired (verify zoning). The over sized 2 car garage with plenty of off street parking is ideal for this size of home.